June 2015 | Blankingship & Christiano, P.C. Being the victim of identity theft is overwhelming. When someone uses your identity, the consequences can seep into every area of your life. Too often, people do not even find out that they have been victims of identity theft until they apply for something important, like a home loan, and discover that their credit score has been ravaged. One common myth about identity theft is that you handle it yourself. Restoring your good name is a time-consuming and often confusing process that is best handled by an identity theft lawyer in Leesburg. Here are some other myths about this common crime. Many people assume that because banks and credit card companies often reimburse clients for fraudulent charges, there are no real victims to this crime. In reality, most people do not recover all of their lost money after resolving a fraud claim, and it takes them many hours to work with financial companies to argue their cases. The process causes stress, loss of work hours, and possible financial hardship while the case is being handled. An identity theft lawyer can make the process of confronting identity theft as painless as possible for victims. You may picture identity theft criminals as faceless entities behind computers hacking into databases. However, as any identity theft lawyer can tell you, many people become victims of identity theft at the hands of people they know. Seniors may have their identities stolen by caregivers, while children sometimes have their identities used by parents. Be cautious about sharing personal information with anyone, and if you have a suspicion about who has stolen your information, tell your identity theft attorney. No alarms are sounded when someone steals your identity. In fact, you may not even notice any strange transactions that would tip you off. 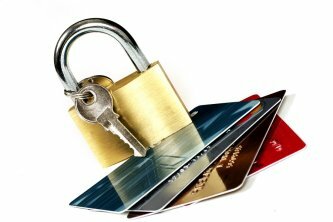 Identity thieves may use your information to open up new accounts that you do not even know about until you find yourself facing a credit dispute. Being vigilant about checking your credit report is the only way to stay ahead of theft. When you are sued by a credit card company, it is important to take action fast to protect your rights and your credit score. If you are notified of a suit against you, contact a credit report law firm in Leesburg as soon as possible. Watch this video to learn more about credit card company lawsuits. The best time to contact a credit lawyer is actually when you receive notice that a suit may be filed. With the help of your credit attorney, you may be able to block the suit in the first place. If it is too late for that step, allow your credit lawyer to negotiate with the company’s representative on your behalf. He or she may be able to settle the credit dispute out of court before it appears on your credit history.